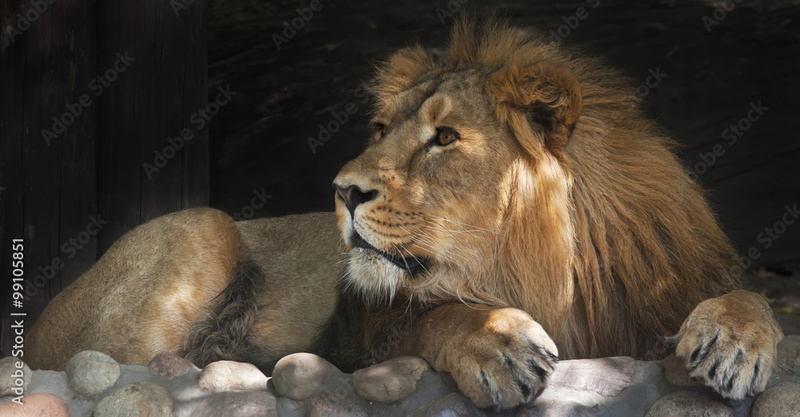 > Aluminium Prints>Side look of an Asian lion, calm lying in the tree shadow. The King of beasts, biggest cat of the world. The most dangerous and mighty predator of the world. Beauty of the wildlife..